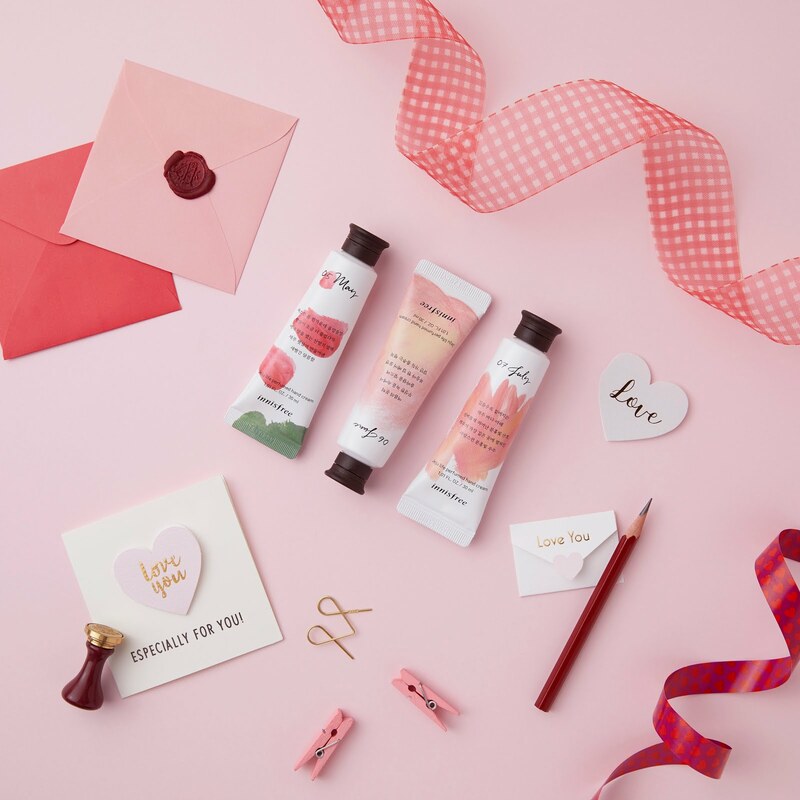 GOKPOP | Exclusive K-News in Malaysia & Singapore: Get Flawless Skin This CNY & Valentine's Day! Get Flawless Skin This CNY & Valentine's Day! As the busy CNY season approaches, we're always looking for ways to get multiple things done at once. 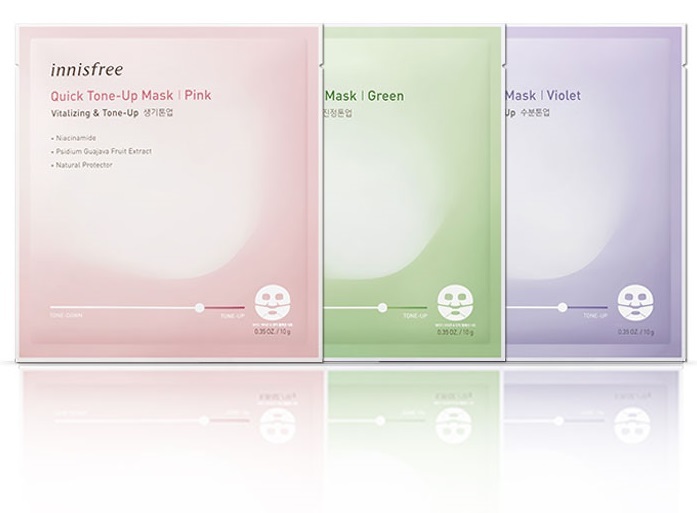 Introducing innisfree Quick Tone-Up Mask, a multifunctional mask offers a quick and easy brightening solution. This multifunctional mask can be applied in the morning to help reduce your prep time and act as a base for your makeup. It comes in two pieces with a wide eye zone and cutting lines along the mouth for ease of movement. Choose from 3 colours to brighten your skin tone and address your skin concerns. Pink, to vitalize skin with guava extract and brightens dull skin tone. Green, however, to soothe skin with peppermint extract and reduces the appearance of blemishes and violet, to moisturise skin with lavender extract and corrects a yellowish skin tone. innisfree will be also releasing Two-tone Eyebrow Kit that comes with the mini dual brush to create a long-lasting natural look. Apply the lighter colour on the inner part of your brows and the dark colour on the outer part with the mini dual brush to create a natural look. It will give you a long-lasting powdery brows that stays in place all day without smudging. For your loved ones, innisfree is making it easy for you this year with three special gifts: Hold Me; Mug Me; Kiss Me Sets for Valentine’s Day! Give them something to remind them of you everywhere they go! 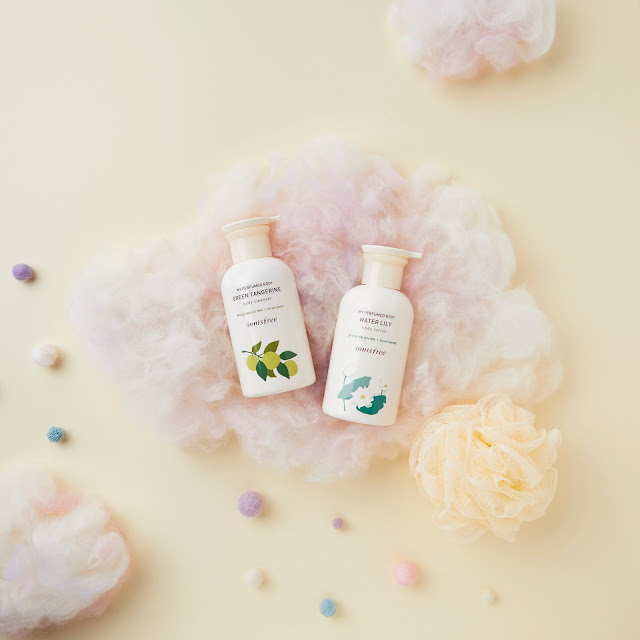 This set is great to help your loved one keep their hands well moisturised and smelling great all day! When you buy two Jeju Life Perfumed Hand Creams, get one more. Wrap them in the delicious embrace of My Perfumed Body cleanser and lotion. With the purchase of two My Perfumed Body products, get one shower ball. Seal it with a kiss! Know someone who’s always looking to keep their lips looking healthy and moist? 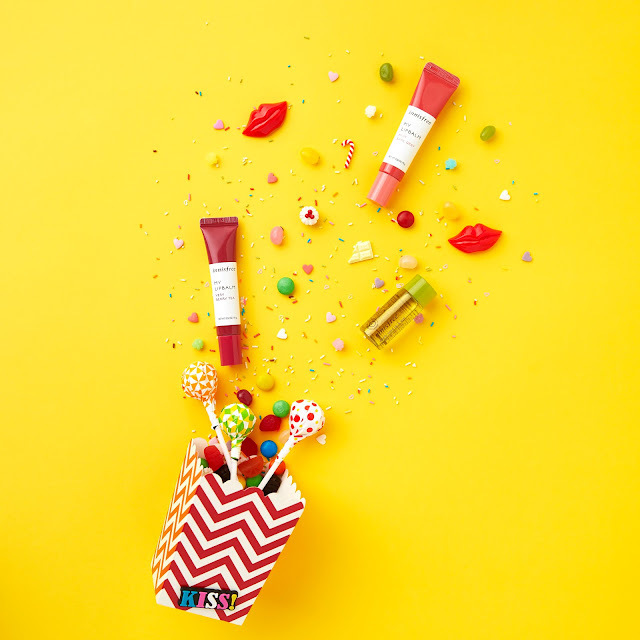 Buy two My Lip Balms and get a Apple Seed Lip & Eye Makeup Remover 15ml.